Der Artikel The Pearl Fishers and other famous operatic duets wurde in den Warenkorb gelegt. Künstler: Janez Lotric / Igor Morozov, Luba Orgonasova / Jonathan Welch, Adriana Kohutkova / Denisa Slepkovska, Monika Krause / Yordy Ramiro, Jonathan Welch / Fabio Previati, Miriam Gauci / Yordy Ramiro, Giacomo Aragall / Eduard Tumagian, Luba Orgonasova / Fabio Previati, Nelly Miricioiu / Giorgio Lamberti, Giacomo Aragall / Eduard Tumagian, Miriam Gauci / Kaludi Kaludov, Ramon Vargas / Roberto Servile, Janez Lotric / Igor Morozov, Radio Bratislava Symphony Orchestra, Will Humburg, Alexander Rahbari, Johannes Wildner u. a. 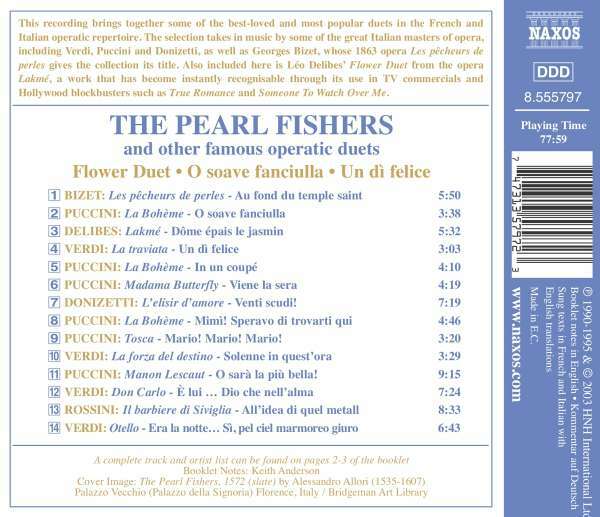 This recording brings together some of the best-loved and most popular duets in the French and Italian operatic repertoire. The selection takes in music by some of the great Italian masters of opera, including Verdi, Puccini and Donizetti, as well as Georges Bizet, whose 1863 opera Les pêcheurs de perles gives the collection its title. 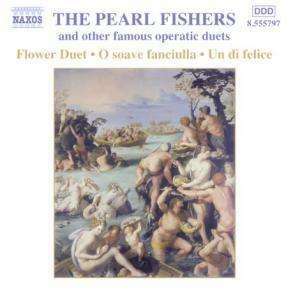 Also included here is Léo Delibes' Flower Duet from the opera Lakmé, a work that has become instantly recognisable through its use in TV commercials and Hollywood blockbusters such as True Romance and Someone To Watch Over Me. Hörprobe Track 7: L'elisir d'amore (The Elixir of Love) : L' elisir d' amore: Venti scudi! L'elisir d'amore (The Elixir of Love) : L' elisir d' amore: Venti scudi! Hörprobe Track 9: Tosca: Tosca: Mario! Mario! Mario! Tosca: Tosca: Mario! Mario! Mario! Hörprobe Track 11: Manon Lescaut: O sara la piu bella! Manon Lescaut: O sara la piu bella!